All athletes must receive an annual pre-participation physical examination. These physical examinations are required by law in North Carolina and will cover the athlete for one year from the date of the current physical, not from the date the physician signed the form. A licensed physician, physician’s assistant, or nurse practitioner must complete the physical examination portion of the medical exam form. 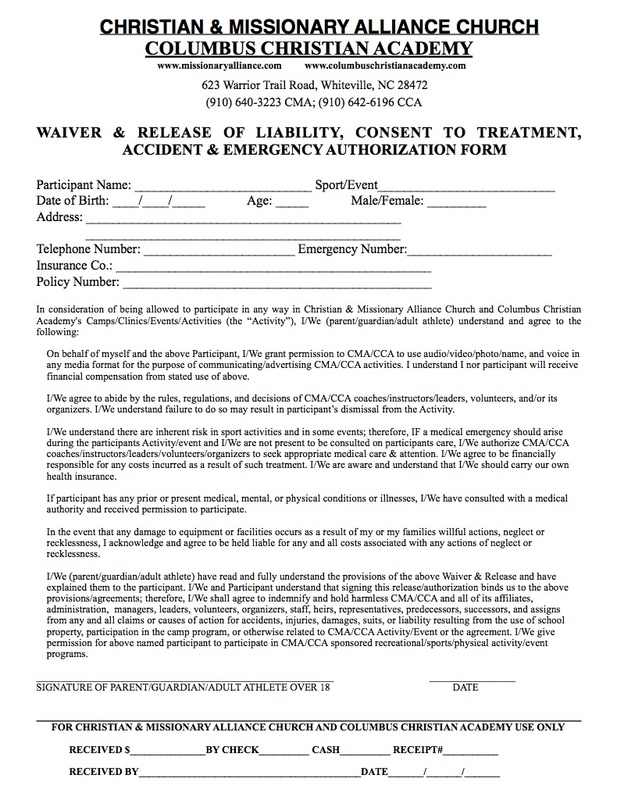 Proper completion of the form should include the athlete and parent filling out the medical history portion and providing signatures indicating permission to participate in sports, consent for treatment, and the assumption of risk of injury. Copies of this form will be on file with the Athletic Director & Office Records. An additional copy of this form will be placed in a folder and given to each team’s coach for use should an emergency situation requiring medical attention/treatment arise. All physicals must be turned in to the main office PRIOR to try-outs.